People in the tech world don’t just want to make something of their careers. They want to make something transformative. That’s why an innovative culture remains essential for attracting employees with the skills that bring new technologies to life. At the same time, the most respected leaders in this sector understand their growth and technological advances depend on the diverse inputs of all team members. 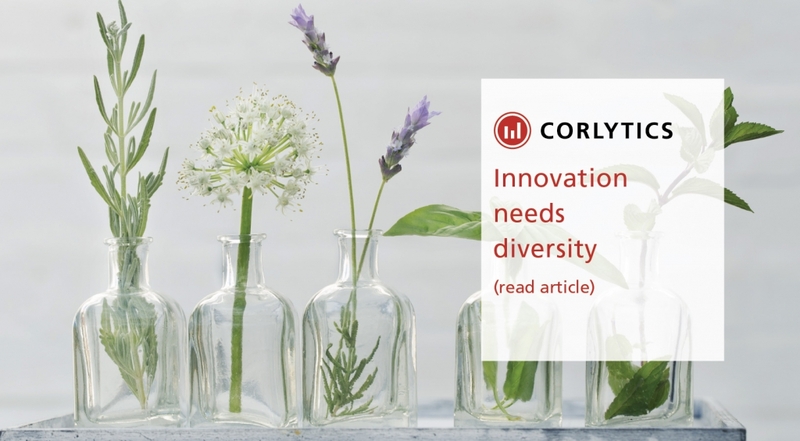 At Corlytics we know that the most creative ideas do not come from ‘great thinkers’ alone, but from diverse teams. Companies such as ours, that are fast moving, growing internationally and grappling simultaneously with multiple disciplines, need diversity to power and deliver new ideas and approaches quickly. We understand that gender, ethnicity and educational diversity helps team members approach things creatively and from many different perspectives. We actively recruit from a variety of ethnic groups and backgrounds. We have four different professional groups – leading data scientists, seasoned technologists, proven banking risk practitioners and expert lawyers – with a variety of life experiences to call on to solve problems and to inform decision-making. The fintech sector is not one that is frequently celebrated for diversity. Last September, a “fintech census” carried out by Ernst & Young and industry body Innovate Finance, published highlights of male dominance of the much-feted sector. Seven out of 10 staff were male at the 245 businesses surveyed, despite 47% of the UK workforce being female. Not so at Corlytics, we have a 50/50 gender split. In our Dublin HQ the team have 11 native languages spoken. Our ability to buck the trend here is one of the clear reasons we attribute to our market leadership position. Another key activity that keep us at the front of our regulatory technology field is continuous development of all our people. Professional development and continuous learning is encouraged right across the organisation. At all levels. From our interns to the board members. It appears that we are in good company. A 2017 Great Places to Work study taken from Forbes annual top 100 places to work found that people working for the market leading businesses, were more likely than those at peer companies to say they’re offered training and other opportunities to enrich their careers. They were also more likely to say they feel good about the ways their organisations contribute to the community. For us diverse perspectives and a great place to work for all are among the most valuable assets for staying at the front of an evolving, fast moving global industry.